Extracorporeal shockwave therapy or ESWT is a specialist treatment for chronic and painful musculoskeletal conditions. What, When and Why we use Orthotics. Pain is the body's way of warning you that something is wrong or mal-aligned in your body. 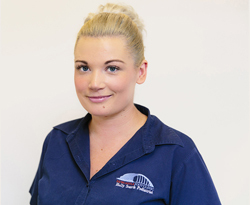 "I had an appointment with holly, it was amazing and my feet felt like I was walking on air after"
"I highly recommend seeing Holly Scarth, she is very friendly and welcoming but also very professional, my feet felt great when I left"
"Newcastle Foot Clinic have Fantastic friendly staff and Holly is very professional. 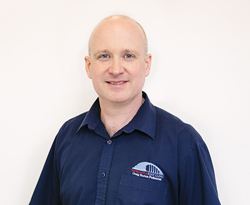 My feet felt amazing when I left"
"My feet feel amazing after my appointment with Holly, I highly recommend her"
After seeing numerous physio’s and surgeons over the last 7 years, none could discover my ankle problem that had been giving me major pain when playing sport. I had the ‘Newcastle foot Clinic’ recommended to me and booked a appointment with Evelyn. 5 minutes into the consultation and she had already discovered what was causing the problem. After being given specific exercises and personalised insoles, I am now pain free! I couldn’t recommend Evelyn and the Newcastle foot clinic enough. Having had problems with my feet for a while I had the Newcastle Foot Clinic recommended to me by a colleague. The service I received was fantastic, the chiropodist listened to my problems, he then examined my feet and explained why I was having problems. I have undergone a course of treatment and my feet have never been better. They offer exceptional value for money and I highly recommend them. Do you Prefer to Keep your Feet in Optimal Health?